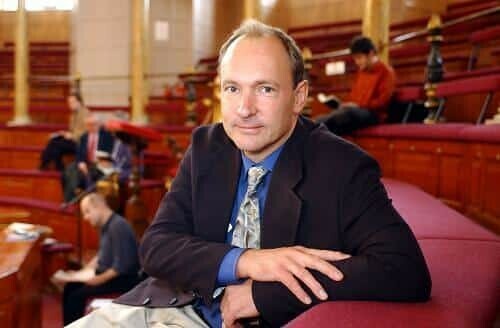 Today, people everywhere are joining Web inventor Tim Berners-Lee in wishing the World Wide Web a happy 25th birthday. Everyone is encouraged to share birthday greetings on social media using #web25. Select greetings will be posted on the official anniversary site webat25.org. Berners-Lee, the World Wide Web Foundation and the World Wide Web Consortium are asking people to take action to protect and enhance the open Web in 2014. W3C will convene experts at a symposium on the future of the Web in October (w3.org/20), whilst the Web Foundation is spearheading the Web We Want movement (webwewant.org), a global campaign to ensure the legal protection of Web users’ rights in every country. How do we connect the three in five people around the world who are not online? What fresh, inclusive solutions can avoid a fragmented Web? Our ability to have a say and organise collectively online is under threat from censorship and surveillance, whilst anyone online is threatened by cybercrime. How can we meet needs for online freedom, privacy, and security? Globally, fewer than 10% of key government datasets are free to re-use online, drastically limiting Web-powered innovation. How do we unlock the power of open data? The Open Web Platform must be capable of expanding to meet industry demands across many connected devices. How do we tackle the challenges raised by such diversity? How do we promote a rich ecosystem of innovation for the long-term, rather than less fertile walled gardens? Join the Web We Want Campaign (webwewant.org), co-organized by the Web Foundation, and participate in events and actions in your country or community to defend users’ rights on and to the Web. Attend or watch the live stream of W3C’s 20th Anniversary Symposium, 29 October in Santa Clara, California, sponsored by Intel.